In this sermon from John 18 and 19, Pastor Ed Craft compares the actions of Peter’s denial, and Pontius Pilate’s interrogation of Jesus. When a rooster crows immediately after Peter denies the Lord three times, it is described as a Holy Spirit operation to not only fulfill the words of Jesus, but to confront Peter on his self-centeredness. 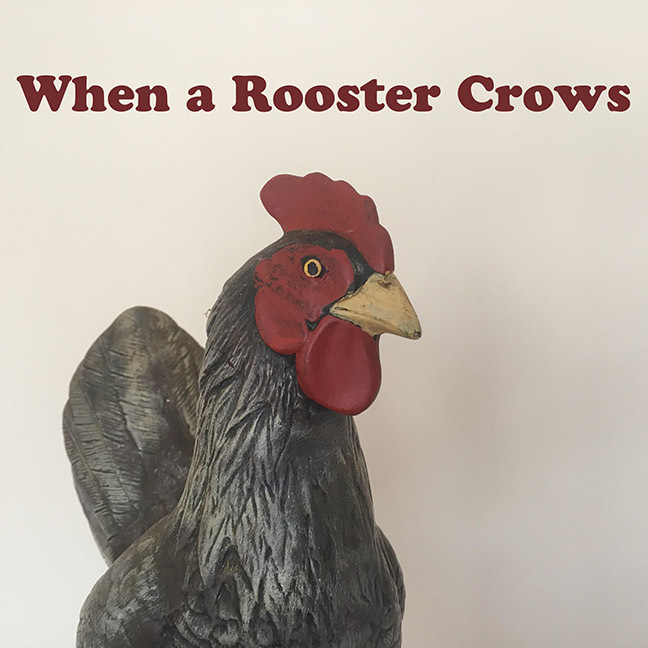 The rooster crowing after Peter’s third denial is a fulfillment of prophecy and an example of events that the Spirit of God uses in our lives to bring us to a place of reality, when we don’t have any hope of being in the truth. God uses natural means to awaken us to spiritual realities. Pilate is a hard-nosed Roman governor, and when he finds no crime in Jesus to justify crucifixion, he tries three times to release him. Even at the near end of his life, Jesus still offers Pilate a way out of his spiritual condition, a way of escaping the eternity that is before him. The same Spirit of God that brings the truth to Peter by a rooster’s crow, brings the truth to Pilate by his wife.